Apple has dropped the iOS 11 back in September 2017 with some of the alluring updates for the users. 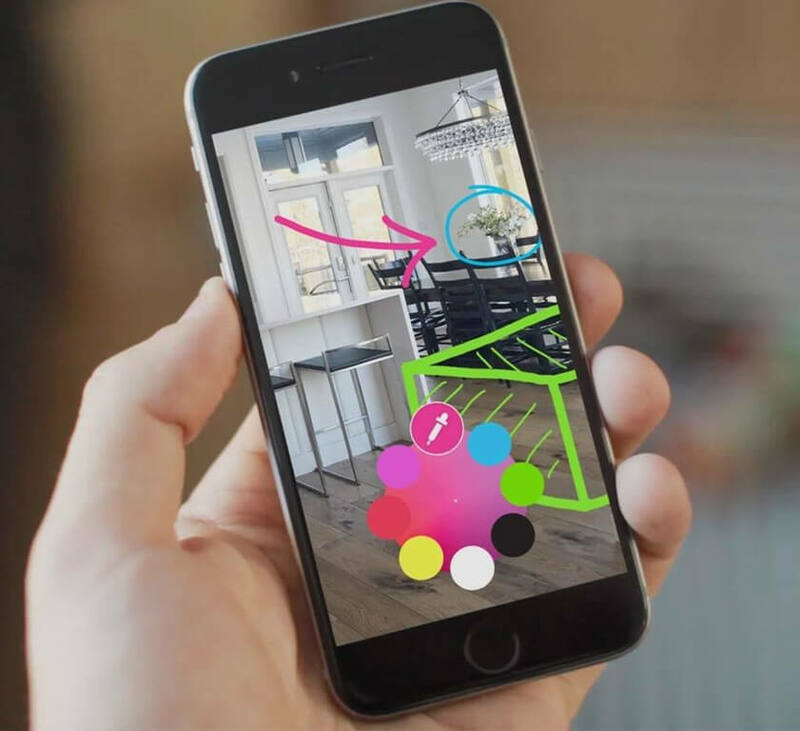 First, the company teases about the new update at WWDC 2017 and unrivaled features like AR emoji, AR apps and other attention-grabbing capabilities of iOS 11. You must be using the latest iOS on your device and experiencing all the features but still, there are a lot of options you are missing. What Apple acknowledged the users were just the surface of the updated platform, there is a lot of hidden options there. 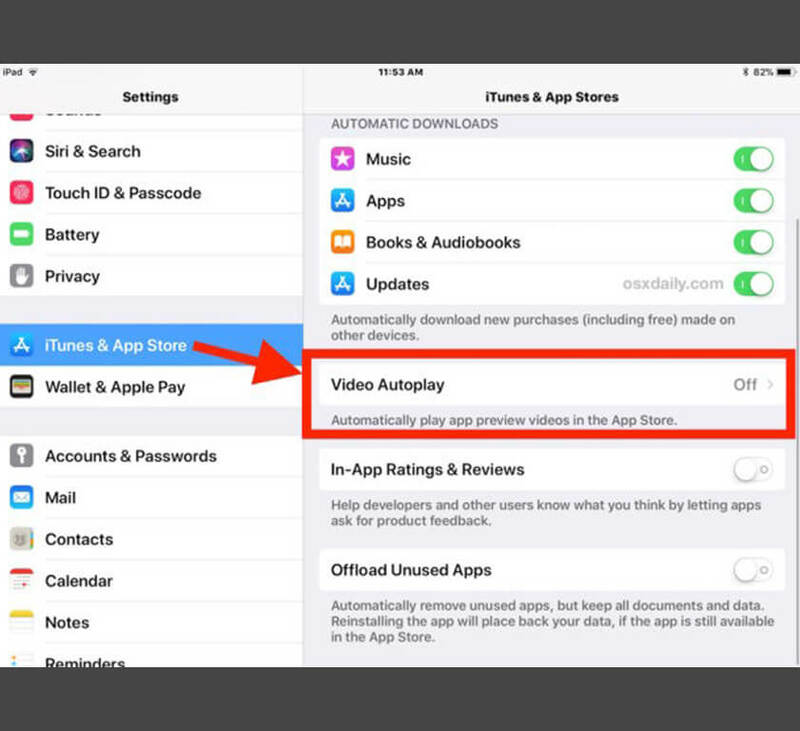 In order to access these hidden features, you need to dig down to the iOS. But, don't worry we have already done the hard work for you, below are the 25 iOS 11 hidden features. So, just jump to the features and start exploring the new options on your Apple device that you never knew existed. With iOS 11 Apple enabled the users to edit the screenshots after understanding the needs of the users. If you want to edit any of your screenshot just tap the option in the left down corner of the taken screenshot. This will open the window with number of tools to edit the screenshot. Generally, you will get only three intensity flashlight option in iOS 11, but if you press long the icon there will be a fourth one. 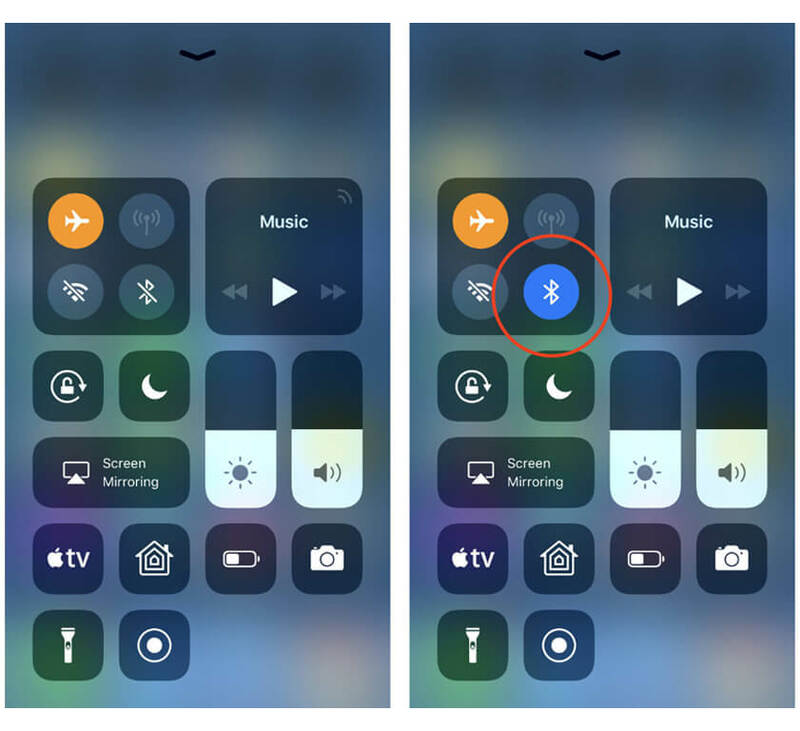 Apple has secretly hidden the fourth intensity option of the flashlight and you need to unveil it. There is no name for the option you just need to explore it by choosing all one by one. 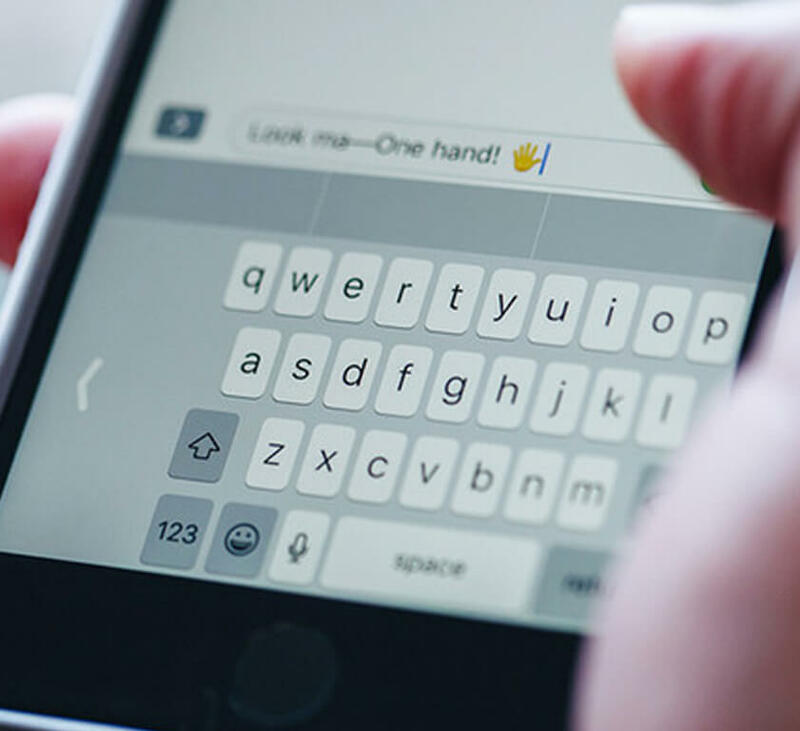 Prior to the iOS 11, the iPhone users had to rely on the third party keyboard apps for one-handed typing option. The company now enabled the same in the default iPhone keyboard. This will squeeze the keyboard either left or right side of the screen for the users to right with one thumb easily. If you kind of a person that love some interesting effects on your screen then this feature is for you. New iMessage screen effects include an Echo of the message you sent and the spotlight effect will make you go wow. The updated version of the iOS brings another helpful feature that synchronized the iPhone messages to iCloud. This means all your iMessages on the phone are synchronized with the Mac. Wherever you delete your messages from your phone that will automatically be deleted from your Mac too. Most of the apps once in a while asks the user to rate or review it with an unwelcome pop-up message. Sometimes apps make its tough to operate by asking again and again for the ratings. But, thanks to Apple now, you can disable the feedback request in iOS 11. If you are using QR app then you should uninstall it right away, because iOS 11 offers inbuilt QR scanning feature. 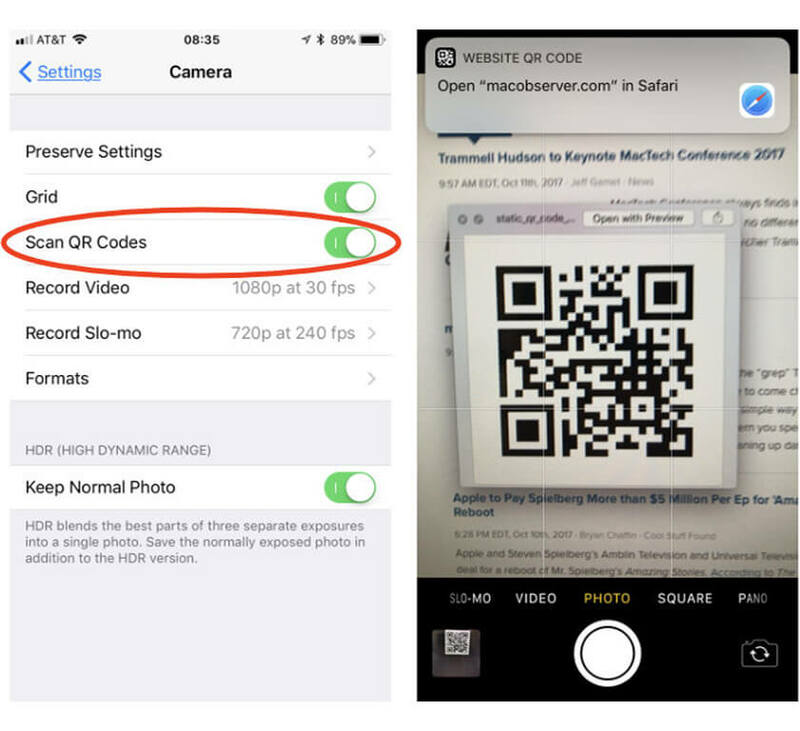 Apple added the QR scanning in the camera app, so you just need to point your camera towards the QR code. After scanning, the app will ask for the further action either its opening a link in the browser, saving a contact or accessing a WiFi network. The other important change that iOS 11 comprises is the support for the GIFs in the phone memory. This means now the GIF will be working even after you save them on your phone. Earlier the saved GIFs seems to be act like normal images if you open them on the phone after saving. Talking about the images feature in iOS 11, there is something that will make you happy. With the help of new upgrade, you can drag the images withinin the gallery and drop them into different albums to change their location. This means you can escape the whole moving option by tapping a number of times for the desired location. Just simply press and hold the images and drag wherever you want to save them. Apple manufactured the iPhone that was capable of shooting the images in JPEG format and videos in H.264 only. 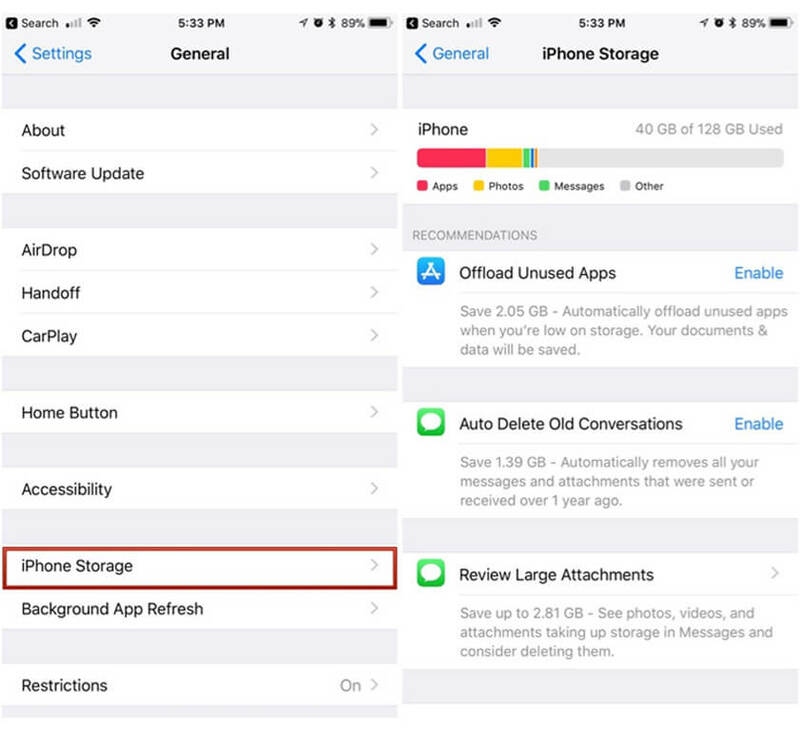 Now, iOS 11 has changed the things with new file formats that save a lot of spaces on the phone. The new JPEG format and the video coding format, H.265 are supported by the iPhone that comprises less storage compared to the earlier ones. Earlier in the iOS, the user was allowed to save anything including images, text files, and others as PDF. However, in order to mark up the document user, need to save it as PDF first and then use the Markup option. But, in iOS 11 you will find an option named as ‘Markup as PDF’ while saving the content. This means no more running around for the same action just select one option and it will be done. Whenever an app’s notification hit iPhone, it instantly displays the notification preview on your screen even when the phone is locked. However, no one can access the notification without unlocking the phone but it will surely tell them what the notification is about. If you want your messages and notifications to be more private then you can use iOS notification preview disable feature for all the apps. After disabling the app notification preview it will show nothing except a ‘Notification’ message. We all have been through the situation like, not able to find the restroom or any particular shop at Mall and struggling to get the destination point at the airport. However, Apple made it easier for us by updating its maps with the indoor navigation of the airport and malls. 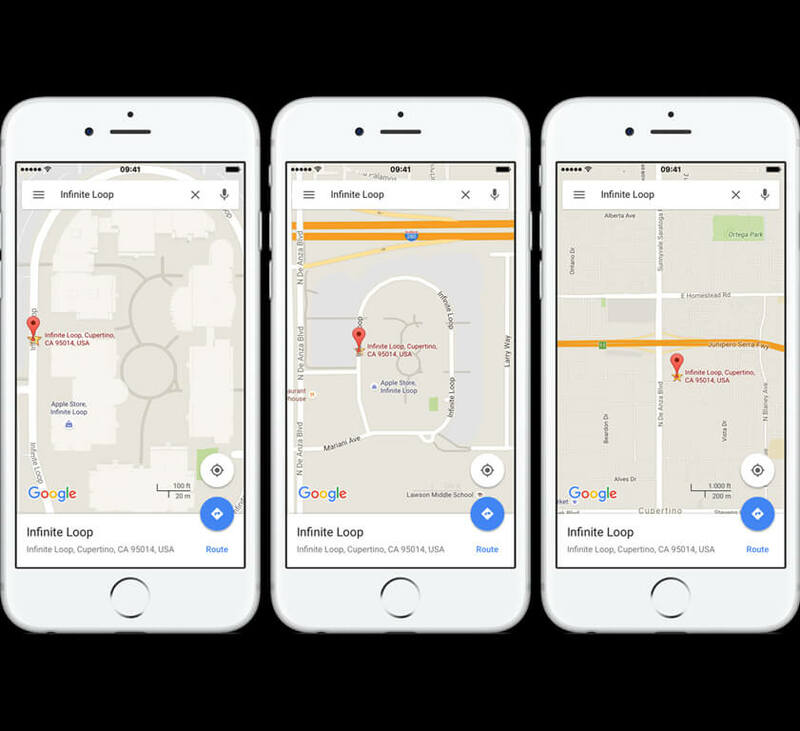 With the help of indoor maps you will be able tl find your way to anything at the airports and malls. Most of us operate phone with our one hand unless we are typing something important. This requires the phone to offer all the options functional using one thumb only, this also includes the map zooming. However, the double tap enabled the zoom-in with one thumb but zoom-out is a bit of a hassle. Bit, iOS 11 also has the solution for this you just need to double tap the map move and moving up your thumb will do the Zoom in and moving down will make the Zoom out of the map. The iPhone offers the Flyover feature since iOS 6 that helps the users in taking a city tour. iOS 11 with its AR compatibility made the feature more interesting, you can get a virtual tour of some selected cities. With the help of the ARkit, Flyover makes your move around your room while taking a virtual tour of a city. 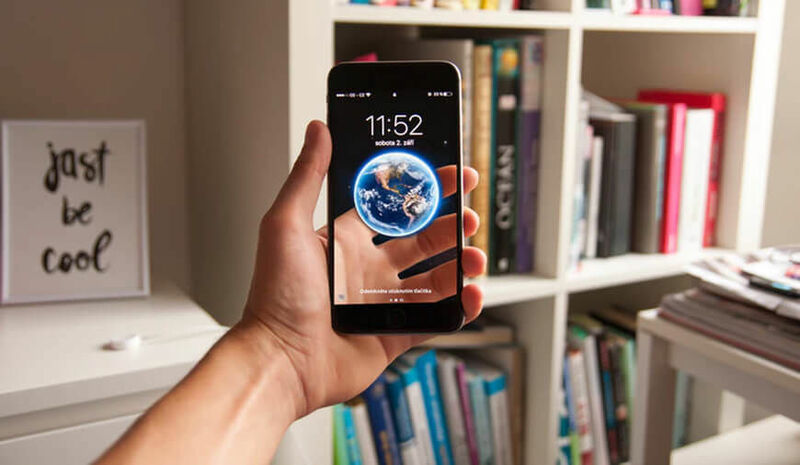 iOS 11 have given new look and new features to the Assistive touch, Apple makes it simpler for the users to quickly access the needed options. In iOS 11 the Assistive touch comprises a restart option that will quickly restart your phone. Along with this you can access the app switcher, Emergency SOS, use Apple Pay and can turn on the Reachability mode. Along with the major and minor tweaks, Apple also added the much need option to Siri. 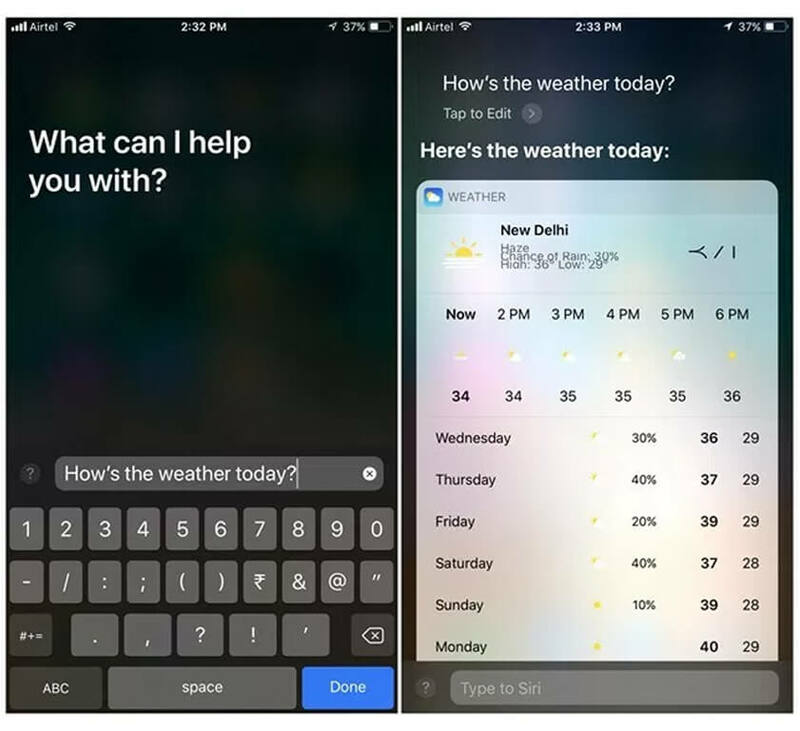 Yes, now you can type your commands or anything to Siri instead of saying in iOS 11. However, Apple should have incorporated this functionality earlier but don't know what took it so long. Yes, now Siri is able to translate the English language into five other languages including, German, Chinese, Italian, Spanish and French. This means whenever you stuck in a foreign country and don't know what the person is talking about ask Siri. This is something that every iPhone user was waiting for a long time now. In iOS 11 Siri support some of the third-party applications for the user to manage things over voice commands. The apps that work with Siri includes OmniFocus 2, Evernote, Citi Mobile, WeChat, Things 3 and others will be added later by Apple. Accessing the information about the flight requires a lot of work including going to the website and filing number of details. However, in iOS 11 you can easily track any flight with the help of Safari right away, just type the airline and flight number and you can see the tracking details instantly. Breach of the personal data of the users is now a major concern and we need to be smart about it. In order to assure the users’ safety, Apple added the site tracking protection feature in Safari browser. The Cross-Site Tracking protection is enabled by default in iOS 11 for the users’ safety. You can share the password of the WiFi network with another device without the need of typing the complicated passwords. The feature allows the user to ask the password to other device connected to the same network. However, both the devices must be running on iOS 11. In iOS 10 wherever you switched to the airplane mode and off it, and when you re-access, it doesn't remember your settings from the previous visit, However, iOS 11 makes the airplane mode remember all your previous settings. This means if the last you time switched on the WiFi or Bluetooth, the airplane mode will automatically do the same. You must have noticed that while browsing through the App Store the app’s trailers automatically starts playing. The automatic video playing not only annoys the users but also consumes the unnecessary data. This can be disabled by turning the settings of the auto plays videos to WiFi only. With the help of iOS 11, you can easily make the changes in your text on iPhone. The newly updated iOS allows the users to easily drag and drop the text in the phone. You just need to select and tap the section or word you want to move and then easily drag and drop it to the desired location. This saves the users from copying and pasting process which takes a lot of time and effort.